An absolute gorgeous 426 Hemi Dodge Coronet 500 painted a Ruby Red with a razor straight body that shines nicely. Sitting behind the wheel of this Hemi is really what the muscle car era was all about. A nice big body car with a massive engine tucked under the hood; you can't go wrong. Featuring the rare and highly desirable 426 Hemi "elephant motor" with dual 4-barrel carburetors. This is the real deal original 426 Hemi car signified by the "H" in the vin. Only 136 of these were made. A nice fully restored undercarriage proves this was a rotisserie nut and bolt restoration. The car rides extremely smooth and the fit and finish is top notch. No corners were cut when this was restored. The interior has been restored nicely with black buckets seats, new carpet, a beautiful black dash broad and a console with a mounted tachometer. Restored to like new condition, this Dodge is screaming to be trailed to car shows or be in a top-quality collection. All the restoration documentation is included with a certification by Galen Govier. The car had spent its entire life in Kansas; being driven off the dealership lot by a banker and is now sitting in our Colorado showroom. The Coronet reappeared for the 1965 model year as the intermediate sized B-body using a 117-inch wheelbase. 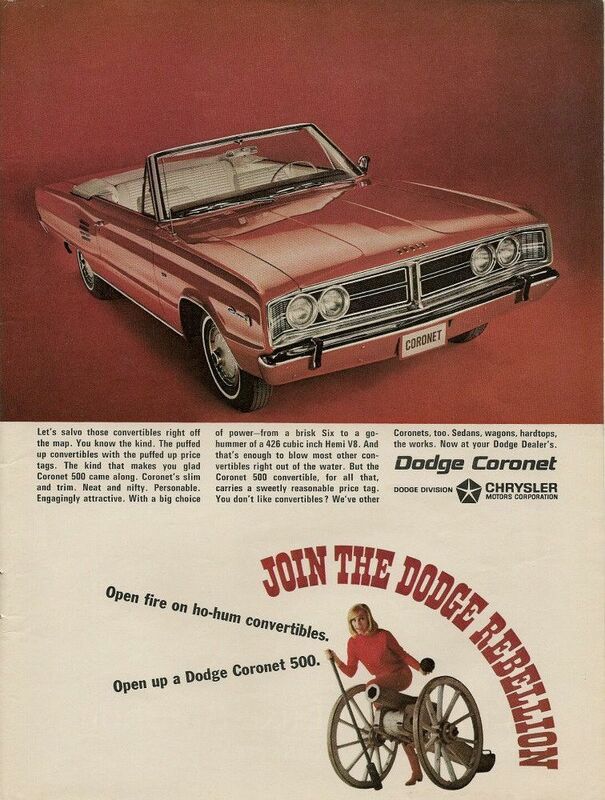 For 1965, Dodge sold slightly over 209,000 units, making the Coronet the most popular model sold by Dodge that year. The top of the Coronet line-up was the Coronet 500 and was available only as a two-door hardtop or convertible in 1965. 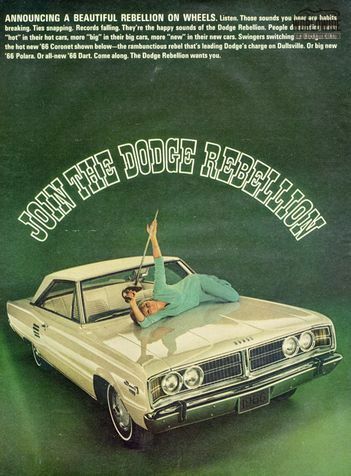 Slightly over 33,300 units were sold in 1965 and included as standard, a V8 engine (273 cubic inches), exterior trim and badging, bucket seats, padded dash and chrome floor console. Coronets were manufactured at Chrysler's Los Angeles assembly plant and at Lynch Road assembly plant in Detroit. Engines offered for 1965 included the base 225 Slant-Six, 273, 318 (Polyhead), 361 (the last year for this big block engine was 1966), 383 and 426 HEMI in multiple HP choices. A tachometer was optional.